The number 19 has special historical significance - in our time and in days of yore - and in our prayers. 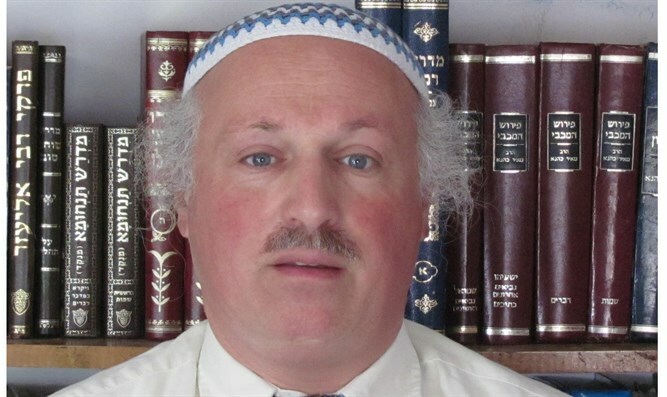 Daniel Pinner is a veteran immigrant from England, a teacher and an electrician by profession; a Torah scholar who has been active in causes promoting Eretz Israel and Torat Israel. HaShem spoke to Moshe at Mount Sinai saying: Speak to the Children of Israel and say to them: When you come to the Land which I am giving them, the Land shall keep a Shabbat-rest for HaShem. For six years you will sow your fields and for six years you will prune your vineyard and harvest its produce; but the seventh year shall be a Shabbat of complete rest for the Land” (Leviticus 25:1-4). The Midrash (Sifra, Behar 1) – a Midrash which has become famous because Rashi quotes it – notes an apparent redundancy in the Torah’s wording: we already know that this episode happened at Mount Sinai, so why does the Torah have to specify that “HaShem spoke to Moshe at Mount Sinai”? “What is the connexion between Shmittah [the remission-year] and Mount Sinai? – Just as all the rules and details of Shmittah were given at Sinai, so too all the rules and details of all the mitzvot were given at Sinai”. This explains why the Torah states what we already know – that this event happened at Mount Sinai. But the Ohr ha-Chayim (Rabbi Chayim ben Atar, Morocco and Israel, 1696-1743) challenges this: “We have to find out why Mount Sinai is mentioned in this mitzvah. True, our Rabbis of blessed memory said that it is to teach that just as all the rules and details of Shmittah were given at Sinai, so too all the rules and details of all the mitzvot were given at Sinai.
" But our question remains: why did the Torah teach this specifically with this mitzvah? Why not with the first mitzvah? Or the last mitzvah? – Maybe it is because this is where the Torah mentions the gift of the Land…which is why the Torah is careful to say ‘…at Mount Sinai’. This teaches that it is all for the sake of Mount Sinai – HaShem gave us the Land for the sake of the Torah”. Fifteen of the 24 mitzvot in Parashat Behar are mitzvot ha-t’luyot ba-aretz (mitzvot which apply only in the Land of Israel); and thirteen of these constitute the legislation of the Shmittah (“remission”) year (every seventh year) and the Yovel (“jubilee”) year: every seventh year the land is to lie fallow, debts are rescinded, and Jewish slaves go free. The year following every seventh Shmittah year is the Yovel (“Jubilee”) year, in which the Jewish slave who chose not to be released in the Shmittah year is released, and all land which has been sold returns to its ancestral owner; thus “the Land will not be sold in perpetuity, for the Land is Mine, for you are sojourners and residents with Me” (Leviticus 25:23). The Ba’al ha-Turim (Rabbi Ya’akov ben Asher, Germany and Spain, c.1275-1343) notes that in the section dealing with redeeming ancestral land (Leviticus 25:23-52), “the word ge’ulah (‘redemption’) in its various forms such as yig’alenu (‘he will redeem it’), ve-nig’al (‘and it will be redeemed’) etc. occurs nineteen times, corresponding to the nineteen Blessings of the Amidah. Therefore we must say the prayer for ge’ulah (‘redemption’) without interruption before the Amidah” (commentary to Leviticus 25:52). This is a reference to the Talmudic injunction to say the Amidah without interruption after the blessing Ga’al Yisra’el (“Blessed are You, HaShem, Who redeemed Israel”), which is the concluding blessing after reciting the Shema of the Morning Service. One who does this has a share in the World to Come (Berakhot 4b), will suffer no harm for the entire day (ibid. 9b), has done that which is good in G-d’s eyes (ibid. 10b), and the Satan cannot accuse him for that day (Yerushalmi Berakhot 1:1; Yalkut Shimoni, Vayikra 439). The Talmud records that “once Rabbi Berona recited the Amidah without interruption after the prayer for ge’ulah, and the smile did not leave his lips for the entire day” (Berachot 9b). Rabbi Meir Kahane Hy”d (USA and Israel, 1932-1991) gave a beautiful and inspiring explanation for this: What is so special, he asks, about joining the prayer for ge’ulah to the Amidah – something we do every day? The entire passage that immediately precedes the Amidah, and concludes with the words “blessed are You HaShem, Who redeemed Israel”, deals with the redemption of Israel from Egypt. Starting immediately after the Shema, it begins with the word emet (“truth”). It is true, absolutely true, says the Jew, that the Almighty delivered us from Egypt. We fully believe that the Almighty “ga’al Yisrael” – redeemed Israel. And immediately following this is the Amidah, which is the centrepiece and heart of the prayer service. And its seventh blessing says: “Behold our affliction and take up our grievance; and redeem us speedily for Your Name’s sake, for You are a powerful Redeemer. Blessed are You, HaShem, Who redeems Israel (Go’el Yisrael)”. The Amidah, then, is the natural step that follows the blessing of “He Who redeemed Israel”. It is an affirmation of proof of the Omnipotence of the Almighty, of His ability to crush any enemy of the Jews, to redeem His people from the mightiest of enemies. We know this because He did it in times past to the Egyptians. By reciting the Amidah without interruption after the prayer for ge’ulah, Rabbi Berona could not stop smiling with rejoicing all day. And since we truly believe that it happened in the past, that He indeed, ga’al Yisrael, “redeemed Israel”, that is why we join that blessing immediately to the Amidah with its blessing “go’el Yisrael”. He Who did it in the past, will surely do it again in the future. And that gives rise to the greatest and most joyous of rejoicing. That makes the smile never leave the face of the Jew! That is why, by reciting the Amidah without interruption after the prayer for ge’ulah, Rabbi Berona could not stop smiling with rejoicing all day. For belief in God’s prowess past, leads to faith in His prowess future, and thus joy – total and basic joy that fills the soul with the knowledge that the redemption must come. And this explanation from Rabbi Meir Kahane Hy”d is particularly apposite today, as Israel is more isolated and faces more vicious enemies than ever before. For sure, the array of foes aligned against us seems terrifying. But remember the events of the War of Independence 64 years ago, and remember the events of the Six Day War 45 years ago. Then, too, Israel was isolated, blockaded by the world, outnumbered and outgunned on four fronts (Jordan, Syria, Lebanon, and Egypt). 64 years ago, with an untrained army, using canon left over from the Napoleonic wars, facing armies with the most modern weaponry of the time – Israel not merely survived, she defeated all her enemies resoundingly and almost doubled in size. And again 45 years ago: a grand coalition of eleven Islamic states (Jordan, Syria, Lebanon, Egypt, Iraq, Saudi Arabia, Morocco, Tunisia, Algeria, Sudan, and Pakistan) again surrounded and outnumbered and outgunned Israel. At a time when Israel’s main arms supplier, France, without warning slapped an embargo on her, Britain, the USA, the Soviet Union, and others were arming the Arabs to the teeth. As Arab armies advanced menacingly on Israel, the predictions were a minimum of 10,000 killed; more probably 50,000; maybe 100,000… if Israel would survive at all. During those tension-filled summer weeks, schoolchildren shovelled sand into sacks to make the sandbags necessary to protect their country even as the government made plans to convert national parks into mass cemeteries. The result is history: in six days, Israel not merely survived – she achieved the most stunning victory in the history of warfare. Indeed, a West Point general once remarked that though the U.S. Military Academy studies wars fought throughout the world, they do not study the Six Day War – because what concerns West Point is strategy and tactics, not miracles. It is no coincidence that the portion of Behar is invariably read in the three and a half week period between Israel Independence Day and Jerusalem Liberation Day. These commemorate two of the major steps towards the redemption which we have taken in the past two generations. In the time of the second redemption, the return to Israel from the Babylonian-Persian exile, two major events stand out. The first was the proclamation of Koresh (Cyrus), king of Persia, that any Jew, anywhere in the Persian Empire, who desired to return to the Land of Israel and start rebuilding the Holy Temple was allowed to do so (Ezra 1:1-3, 2 Chronicles 36:23). Thus began the second redemption. But three years later, Koresh died and Achashverosh became king of Persia in his place. And one of his first decrees, in the first year of his reign, was to order a construction freeze on the Temple Mount (Ezra 4:6-24). The partially-built Holy Temple remained untouched for the rest of Achashverosh’s reign. When Achashverosh died after reigning for 14 years, his son Daryavesh (Darius) II succeeded him, and in the second year of his reign the second major event occurred when King Daryavesh II decreed that the construction of the Holy Temple be resumed (Ezra 4:24, 6:1-14). From Koresh’s decree to Daryavesh’s decree, the gap was nineteen years (see the Malbim’ commentary to Jeremiah 29:10). Perhaps this echoes the nineteen times that the word “redemption” occurs in our Parashah, in the section which deals with redeeming the Land of Israel. And perhaps we, in our generation of the beginning of the final redemption, have seen the same nineteen-year gap repeated in the two seminal events of this redemption through which we are living: the beginning of independence in 5708 (1948) to the liberation of Jerusalem in 5727 (1967). We repeat: It is no coincidence that the portion of Behar, with its nineteen mentions of redeeming the Land, is invariably read in the three and a half week period between Israel Independence Day and Jerusalem Liberation Day, the commemorations of two of the major steps towards the redemption which we have taken in the past two generations, exactly nineteen years apart.